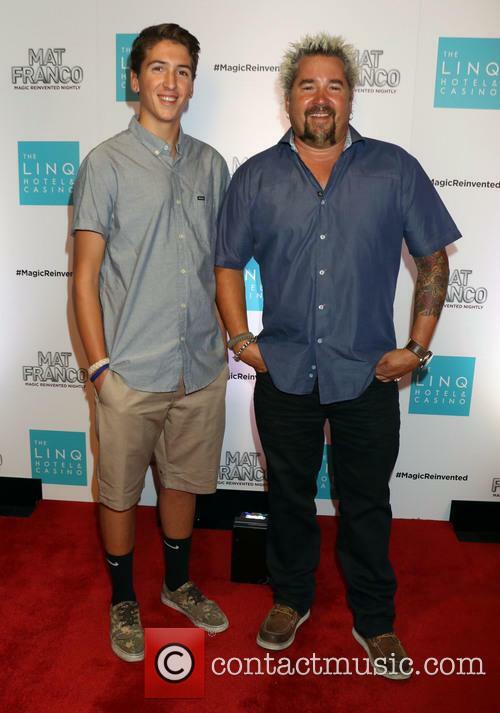 A Northern Californian teen is found guilty of stealing Guy Fieri's Lamborghini and attempted murder. Celebrity chef Guy Fieri's $200,000 bright-yellow Lamborghini was stolen from a San Francisco dealership in 2011. A Northern Californian teen has been conviction of the grand theft auto on Wednesday (Oct 30th) by the Marin County panel as they found 19 year-old Max Wade guilty. The jury heard evidence of Wade repelling into British motors in 2011 to steal the expensive convertible which was in the shop for repairs. Saturday, The Day Guy Fieri Kicked His Hairdresser, Made Him Cry. Guy Fieri's hairdresser didn't have the greatest of Saturday nights. Guy Fieri had a pretty regular Saturday night - if you call physically kicking your hairdresser out of your SUV on a busy highway, regular. Yep, the celebrity chef was caught on a video obtained by TMZ.com kicking Ariel Ramirez through the open door of his SUV. Ramirez seemed pretty upset, shouting "F*CK YOU!! ", crying uncontrollably and punching Fieri through the door. Guy eventually throws Ariel out of the video and the chef's manager jumps out and takes the hairdresser home by cab. Sources close to Fieri say the group were coming from San Francisco International Airport where they had just landed. They have been drinking on the flight and used a car service to take them home. 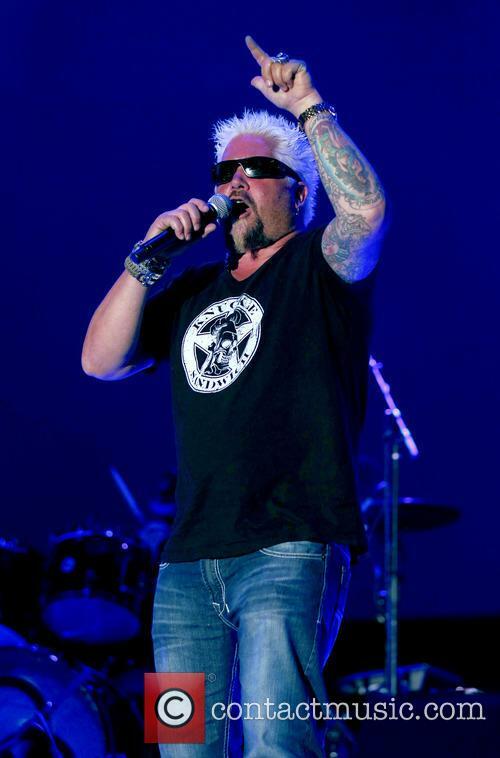 Continue reading: Saturday, The Day Guy Fieri Kicked His Hairdresser, Made Him Cry. For those of you still following the spat between the New York Times and celebrity chef Guy Fieri – and it seems that quite a lot of you are – there was much amusement to be had at the weekend as Saturday Night Live did their own take on the beef. However, comedy fans were almost denied the chance to see a sketch that focused on Fieri’s reaction to the now infamous bad review that his restaurant in New York received from the paper. Thankfully, such is the world we live in, the segment appeared online after being cut from the dress rehearsal of the show itself. In it Bobby Moynihan put on a fine showing as Fieri, looking every inch the embittered chef and reprimanding Seth Myers at the Weekend Update desk by exclaiming "not in New York, Seth, it's in Times Square!" Another high point came as Moynihan, with his pitch perfect Fieri voice, reacted “Oh, that’s not off the chain. Oh, that’s very much on the chain” to the bad review. It was a strong sketch, and thankfully NBC opted to keep and upload the whole thing on tape. As for the real Fieri? We’ve not heard anything more from him since his first outburst at the Times; he’s likely still licking his wounds. ‘Never read your own press’ so goes the sage old line. It’s clearly one that Guy Fieri forgot about as he found himself defending his new restaurant in New York’s Times Square following a critical mauling at the hands of the The New York Times. The Hollywood Reporter writes that the savage beating given to Fieri’s Guy’s Kitchen & Bar by the paper including some 34 rhetorical questions, with writer Peter Wells attacking every aspect of the TV chef’s menu. Let’s have a read of some highlights shall we? 1. 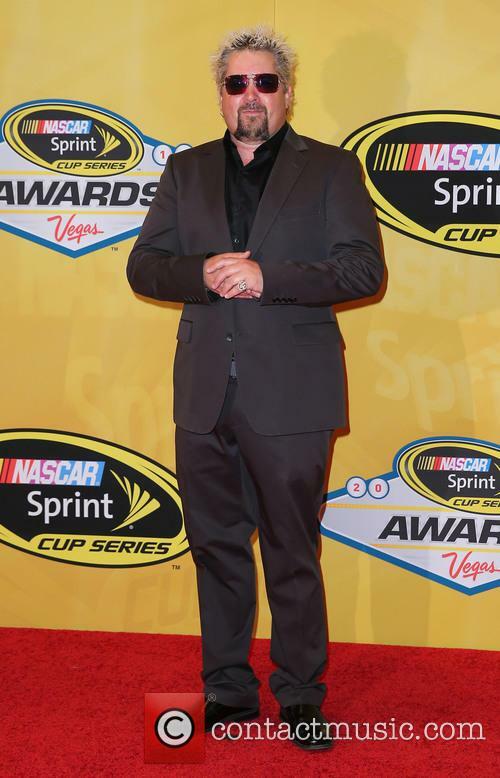 “GUY FIERI, have you eaten at your new restaurant in Times Square? Have you pulled up one of the 500 seats at Guy’s American Kitchen Bar and ordered a meal? Did you eat the food? Did it live up to your expectations?" 2. The Awesome Pretzel Chicken Tenders “tasted like chewy air”. 4. The Cajun Chicken Alfredo contained "ghostly nubs of unblackened, unspiced white meat." American TV food personality Guy Fieri embarked on his new venture in September by opening up his Times Square restaurant, adventurously called Guy's American Kitchen & Bar, in New York City. Pete Wells from the New York Times took a trip down there recently and published one of the most scathing restaurant reviews in living memory. Wells' review is incredibly harsh and one must wonder whether the writer has harboured some long-borne grudge against the down-to-Earth, all-American foodie, and just waiting for his possibility to rock up to a Guy Fieri establishment and to have all his preconceived and condescending emotions surrounding him be confirmed. 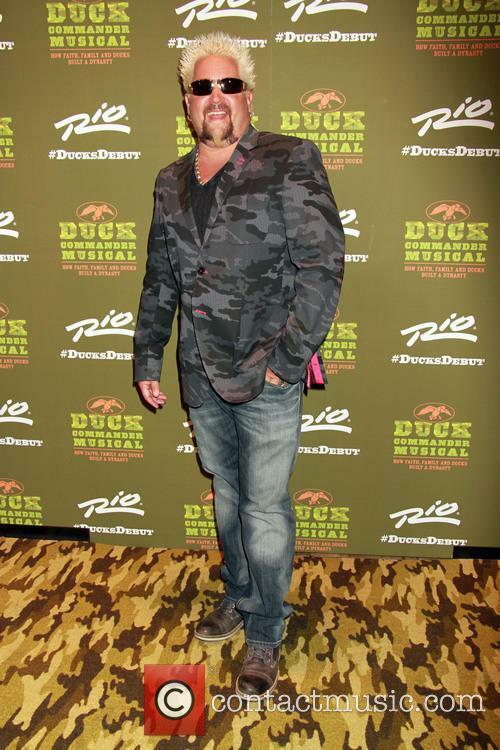 We have to say, that we judge a restaurant by the personal style of its proprieter and unfortunately therefore, this means that Fieri's bleach-blonde spiky hair, bizarre array of shirts and facial hair that only works on Chad Kroeger, all do nothing for him, in our book. And despite feeling empathetic for Guy in relation to the review, we also cannot help but be unsurprised. Wells' letter reads like a letter to Fieri, in that it's written entirely in second person. But rather than a letter between friends, or even enemies, it is simply a long list of questions intended to truly get across how much the writer hated the restaurant. From the relatively tame questions such as "Was your deep-fried "boulder" of ice cream the size of a standard scoop?" and "How did Louisiana's blackened, Cajun-spiced treatment turn into the ghostly nubs of unblackened, unspiced white meat in your Cajun Chicken Alfredo?" to the downright rude, "Why is one of the few things on your menu that can be eaten without fear or regret... called a Roasted Pork Bahn Mi, when it resembles that item about as much as you resemble Emily Dickinson?" and, in reference to a special sauce, "when we hear the words Donkey Sauce, which part of the donkey are we supposed to think about?" 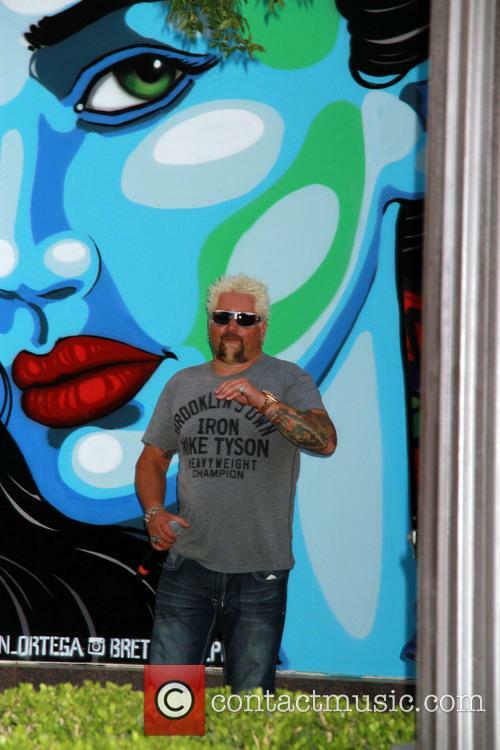 The New York Times On Guy Fieri's Restaurant: Is It The Harshest Review Of All Time? If you haven't read the New York Times' review of celebrity chef Guy Fieri's new restaurant Guy's American Kitchen and Bar yet, then we've picked out the very juiciest bits for you. In probably the harshest restaurant review of all time, critic Pete Wells pulls no punches and rips Fieri's Grill apart piece by piece. Essentially, the Times Square joint gets zero stars. Nothing. Nada. Wells gets personal too, accusing the Food Network star of never setting foot in his new restaurant, which is a 500-seater. In sarcastic, biting vitriol that reads like an open letter to the proprietor, Wells asks, "Hey, did you try that blue drink, the one that glows like nuclear waste? The watermelon margarita? Any idea why it tastes like some combination of radiator fluid and formaldehyde?" Wells acknowledges the "well-meaning staff," but the customer service also gets a roasting. He asks if someone with a reservation shows up, "and the rest of the party has already been seated, does the host say, 'Why don't you have a look around and see if you can find them?' and point in the general direction of about 200 seats?" It goes on, and on, and on, and gets even harsher. "What exactly about a small salad with four or five miniature croutons makes Guy's Famous Big Bite Caesar (a) big (b) famous or (c) Guy's, in any meaningful sense?" Wells asks Fieri. "How did Louisiana's blackened, Cajun-spiced treatment turn into the ghostly nubs of unblackened, unspiced white meat in your Cajun Chicken Alfredo?" he adds. Ouch. Fieri is yet to respond to the criticism, though seems happy enough with his food. After an appearance on Extra TV, he tweeted, "Hooked the crowd up with some @guysamerican Big Dippers...good eats!" At $17.50, the Big Dipper is described as a "Roasted premium round top" sandwich with "melted pepper jack cheese, crispy onion straws.and beef jus." Continue reading: The New York Times On Guy Fieri's Restaurant: Is It The Harshest Review Of All Time?